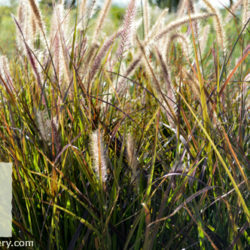 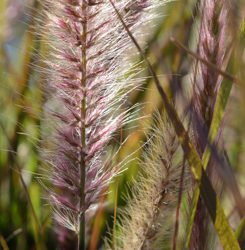 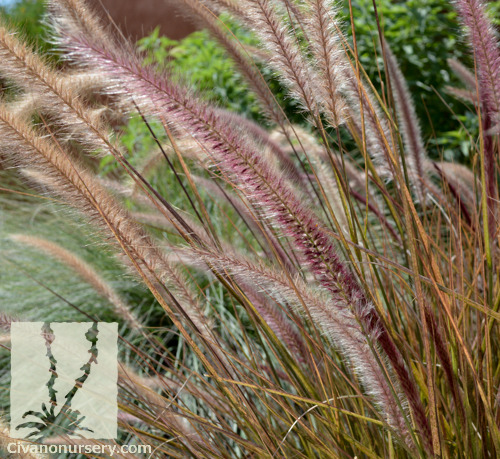 Purple fountain grass is an eye-catching specimen plant with its green leaf blades tinged with maroon. 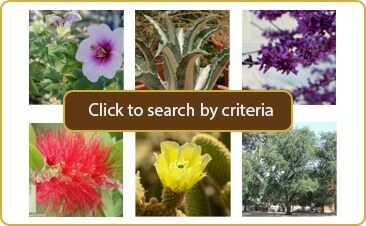 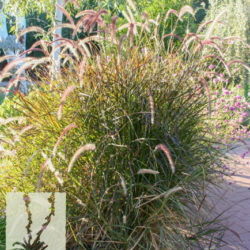 It has a graceful growth habit that looks elegant in both containers and in the ground. 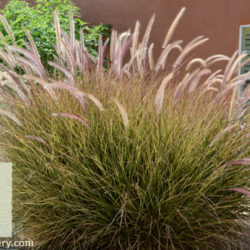 Pinkish purple flower plumes float freely above foliage. 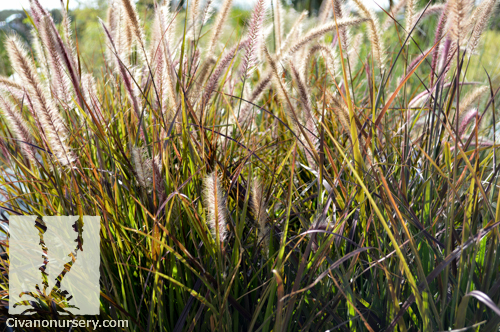 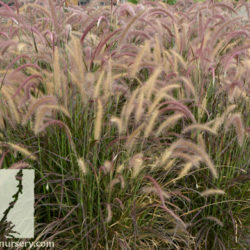 This particular variety is sterile, which means that it is not invasive like other members of the Pennisetum family. 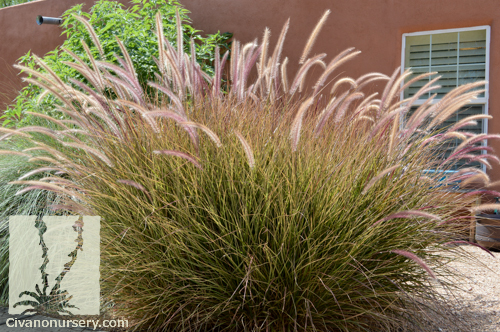 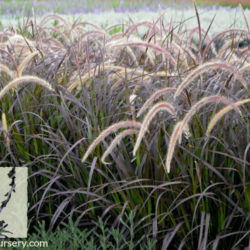 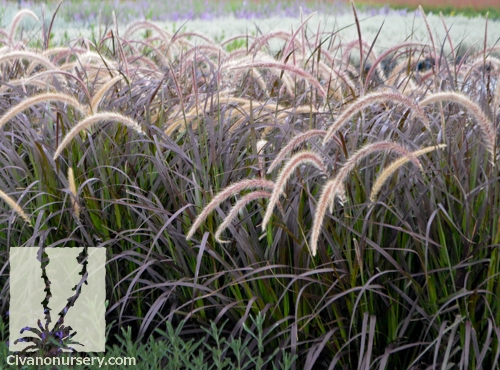 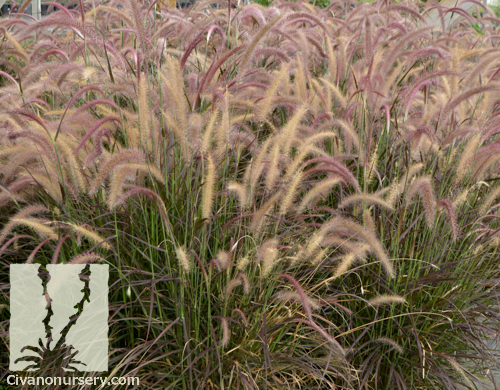 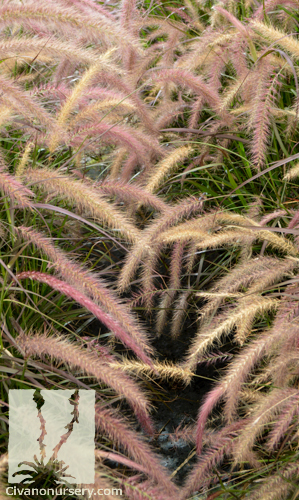 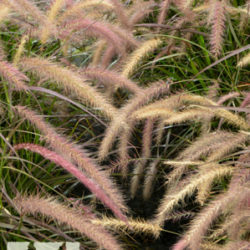 Purple fountain grass will tolerate dry periods, but will look much nicer and richer in color with more water. 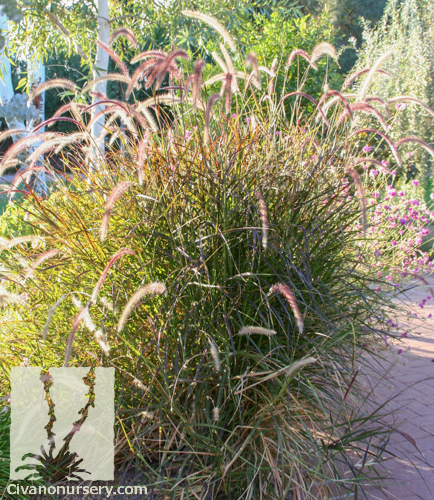 Plant it around pools, ponds, and other water features for a soft, but dramatic statement. 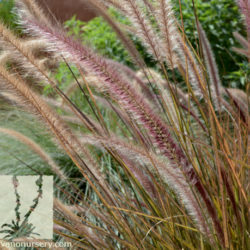 Red foliage is harmonious mixed with other low water perennials like ‘new gold’ lantana or ‘Lydia’ tecoma.